Rush have never been more popular than they are now. I know this because I have been a fan since 2112, and not until the latter part of their career do they finally get the recognition they deserve. In the early days, Rush was a band that a few of us liked, and we were passionate about their music. Now, we see generations attending their shows, and new young musicians discovering their music. After viewing Time Stand Still I am left with a sense of happiness but most sadness. It's not because there is anything overtly sad about this R40 documentary but because like our main characters, it had me looking at my own mortality. This documentary is sort of a companion piece to 2010’s Beyond the Lighted Stage. It puts the final chapter on that story, which is why I have a heavy heart after viewing it. Since the R40 tour, it has become increasing clear that Rush, as a touring unit, is over. I may be wrong (I’m generally an optimist so I keep wishing), but with each passing year, my hopes and dreams are squashed. The happiness part of Time Stand Still is watching them perform (albeit in small clips) and seeing the love and respect between Alex Lifeson, Geddy Lee, and Neil Peart. 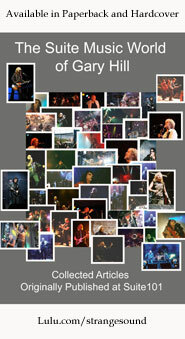 It is also a celebration of their fans who go out of their way to attend as many shows as possible. I thought I was a fan until some of these folks speak about clocking in more than a hundred shows, which is quite impressive. The film goes through the shows in a countdown fashion until they reach the last show in Los Angeles. Even though I did not attend that concert, you can almost feel the emotions from the band to the crew all the way down to the fans. This documentary ends with Lifeson and Lee walking to their dressing room after that last show at the Forum, and during the credits we get footage of fans breaking down and crying. I can’t say that I didn’t get a little misty-eyed myself. They say a good work of art has to emotionally move you and Time Stand Still does accomplish that; just be ready for a bit of an emotional roller coaster. The extras on this DVD are great. We get a rather large chunk of an unreleased pro-shot footage from the Presto tour and considering its age, it hold up well. 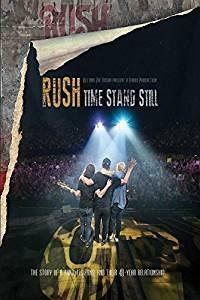 If you are a Rush fan, you will most likely either already own it or will be purchasing this DVD shortly. But for the non-Rush and even to some extent, a non-music fan, I say that you would find this documentary enjoyable. It really brings out the human element and the connection between performer and fan.